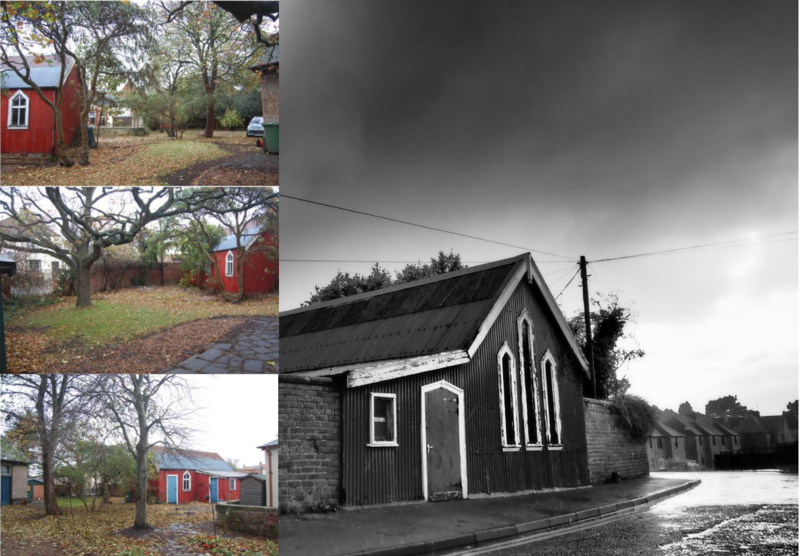 Sadly, East Lothian’s last Tin Tabernacle is very likely to be demolished. Despite being classed by the Buildings at Risk Register as one of several local buildings at ‘high risk’ (of decay or development), a developer now has the permissions they need to build on this sensitive site on the edge of the Dunbar Conservation area. Yet the building is afforded no protection by law. The law seemingly states that any legal protection route could not be invoked whilst there was an active planning case under consideration, which to my simple mind seems at odds with the general policy to protect our built and historic heritage (OK this is a known known, but it applies equally to unknown unknowns). The risk category will no doubt move from ‘high’ to ‘critical’, but this is largely pointless as there is probably sod all that anyone can do, except perhaps to offer to take it away a re-erect it somewhere else. If I had the means and a site I would certainly think about it. So what is the fate of all the other 16 buildings on the register in East Lothian, which are not afforded any legal protection? We can only guess. There are in fact 74 buildings classified as at risk in the register, while I write this, in East Lothian alone, with only a handful (6) under restoration, years after the register was first conceived. I’ve been visiting a number of these sites for the best part of a decade, with the majority of these progressing towards complete dereliction. 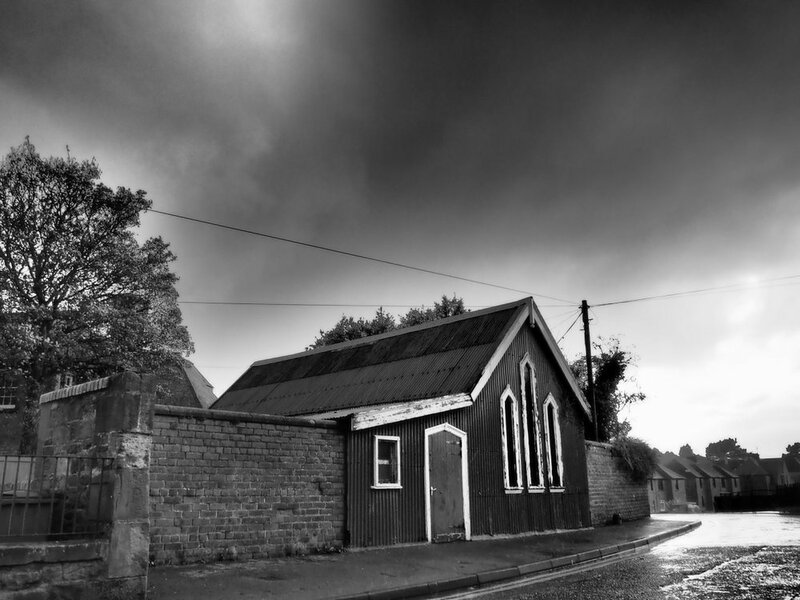 Even if there are other tin sheds in the area, this one seems to me to be a rather special one, as the majority of surviving ones are agricultural rather than ecclesiastical, and may not have such a rich and interesting history. What is curious about the case is the length to which a small number of nearby trees are being ostensibly protected. Whilst I find this highly laudable, indeed highly desirable, there are too few trees in town settings across East Lothian not just Dunbar, there is little to stop any of the parties cutting these trees down at some point when the planning attention has moved on. I am less enamoured by the lengths to which car parking will be accommodated on an awkward corner, laying terram to save tree roots and moving the telegraph pole. The images extracted from the tree report actually show off the building in its original setting rather well. If you care about this little building drop your local councillors a line. Maybe they are oblivious to the fate that will befall it or maybe they think a new bungalow would be better. Another person to contact might be Paul Zochowski, who has done so much to help raise awareness of Dunbar’s dwindling heritage resources against a tide of careless and carefree developers and inconsiderate development proposals over the years, though I fear all he is able to offer are soothing words. Telephone Number: 01620 827264 or email him on pzochowski at eastlothian.gov.uk. Conservation Area Consent for demolition of the building ref: 16/00040/P.